The reliability and availability of water and waste water assets are of absolute importance in ensuring the assets deliver this essential utility to its customers. A combination of tightening of CAPEX and OPEX budgets, growing populations, and more stringent water quality and environmental regulations and unpredictable weather events means the water and wastewater infrastructure has to reliably deliver, or even exceed to its design capabilities. Reliability is essential both in terms of network integrity, but also in terms of process efficiency. Introduction of new technology plays a key role in delivering the necessary improvements. Astrimar’s consultants draw on more than 20 years of industrial and academic experience in reliability engineering and technical risk management. Our approach focuses on the best use of available data to understand and prevent or pre-empt failures to minimise unwanted interruptions to supply or quality. 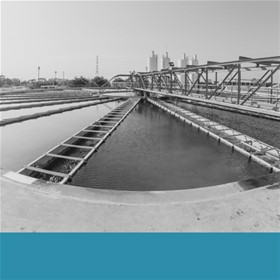 By focussing on the identification, analysis and management of critical failure modes within the water and wastewater systems, we help clients consider how failure modes, their mechanisms and causes can be prevented or pre-empted, or responded to efficiently for minimum impact. From early design and qualification of technology and on through the operating life, we provide an understanding of reliability capacity as an essential input to asset decision making, including design improvements, system monitoring, spares holding, inspection, maintenance and upgrade. Our experience has identified that the qualification of new technology, before it is installed in service, is crucial to managing technology risk and achieving (and assuring) reliability and availability through life. We apply our best practice experience of reliability engineering principles to the development and implementation of effective technology qualification using appropriate combinations of testing and analysis to provide traceable assurance that systems are qualified through a detailed understanding of all service demands, performance requirements and potential failure mechanisms. This is directly applicable to the focus on innovation for enhanced water and wastewater system reliability for the future.